In a strange coincidence, two letters Tiger Woods received as a much younger man than he is today recently have surfaced on the Internet. One of the many reasons the Masters is arguably the most enjoyable golf major to watch is for folks in northern climes is the fact that it occurs so early in the spring. Goodness Gracious! Augusta National Is Short On Pimento Cheese Sandwiches! Well, if his calculations are correct and the headline of the above story is accurate, of course. 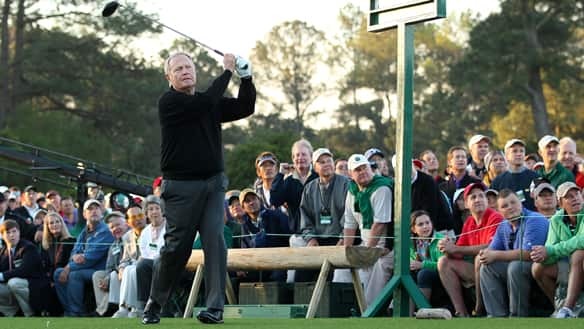 Living legends Jack Nickalus and Arnold Palmer will share honorary starting duties at next year’s Masters.